The Bauhaus Style exhibition presented the wide variety of attempts at canonisation of the historical Bauhaus: In what way can we talk about a Bauhaus Style? At the end of the 19th century, there was still agreement about the need to overcome the traditional eclecticism of styles in order to produce a “new modern style”, but the avant-garde of the 20th century found it difficult to apply the word ‘style’ to their common creative efforts. After all, they were not concerned with developing a new language of form, but rather with designing a way of living that was in keeping with industrial culture. The leading figures of the Bauhaus refused to establish a style label in the way that had been passed on to them in the art academies when they were students. It was not until the Bauhaus exhibition in New York in 1932 that a label seemed to be established, after the Bauhaus movement itself had so vehemently rejected one. With its reduction to structural aspects and by ignoring historical and political contexts, the exhibition defined a worldwide style – the International Style. Knowing about the two poles – the unavoidable development of the concept of style on the one hand, and the striving to conceptualise aesthetics and creativity appropriate to the modern cultural age on the other – makes it impossible to this day to speak of the Bauhaus style as a unity of forms of life, thought and expression of modern culture. The exhibition addressed this paradox. By means of relevant events of the 20th century, it introduced the vocabulary that establishes the traditional ideas of the Bauhaus style: a genealogy of the Bauhaus style is presented, which is embedded in the general change of function of the style label of the modern age. 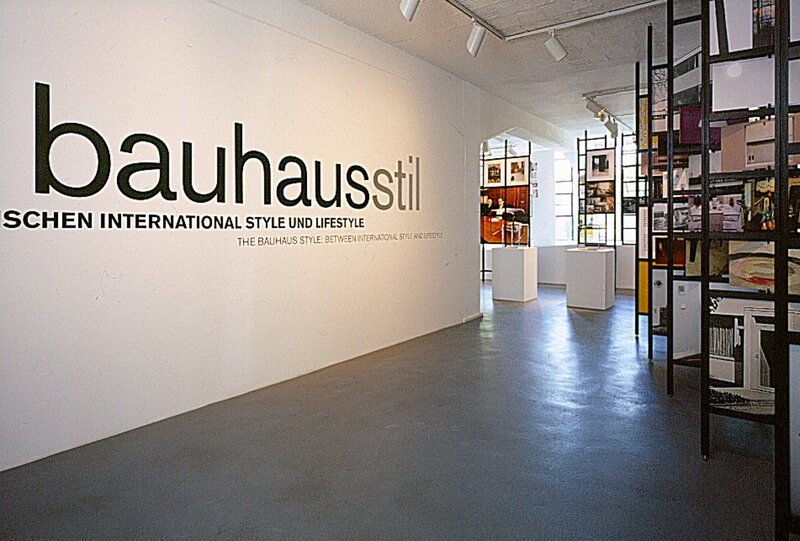 The process of transformation “from style to stylisation” was portrayed by the symbolic significance that accrues to Bauhaus objects today as the emblem of a cultivated lifestyle.